held their wedding ceremony at the Wharerata Function Centre followed by the reception at The Vintage Car Club, both in Palmerston North. 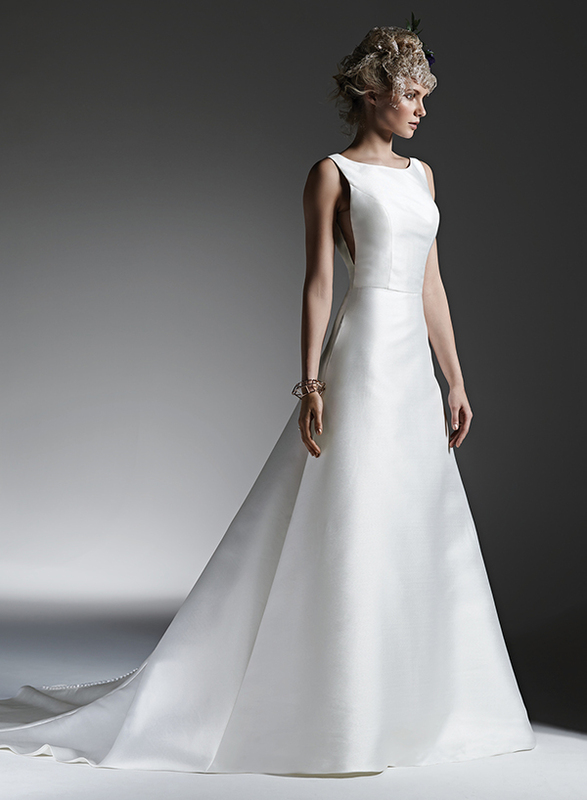 "I loved my wedding dress so much. My favourite part of the Sottero & Midgley McCall was the sheer panels down the sides of the bodice. At first I wasn't sure about them but then I realised how much more modern they made the dress look. I loved how timelessly classic it was." "We wanted our wedding to feel relaxed and like we hadn't tried too hard to make everything "picture perfect". 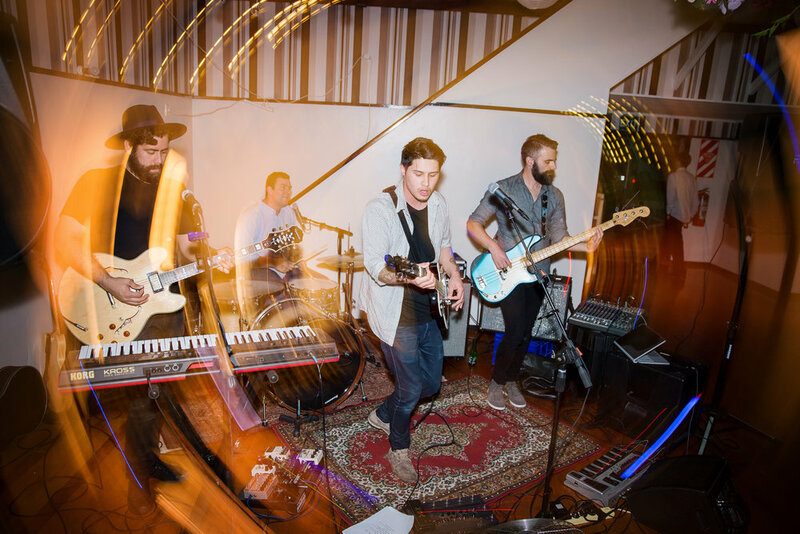 Our main focus was on our friends and family and we wanted to make sure everyone had a great time alongside with us with no stress. We didn't really have a "theme" for the day, but we wanted our personalities to shine through. So, for example, we had individual tequila shots as the name places on the tables, a funky burger truck for our meal and Star Wars elements incorporated throughout like cookie jars and quotes hanging from the walls"
"The whole day was just perfect but I loved looking out at our reception at all of our family and friends having an amazing time together and thinking how lucky we are to have these people in our lives. 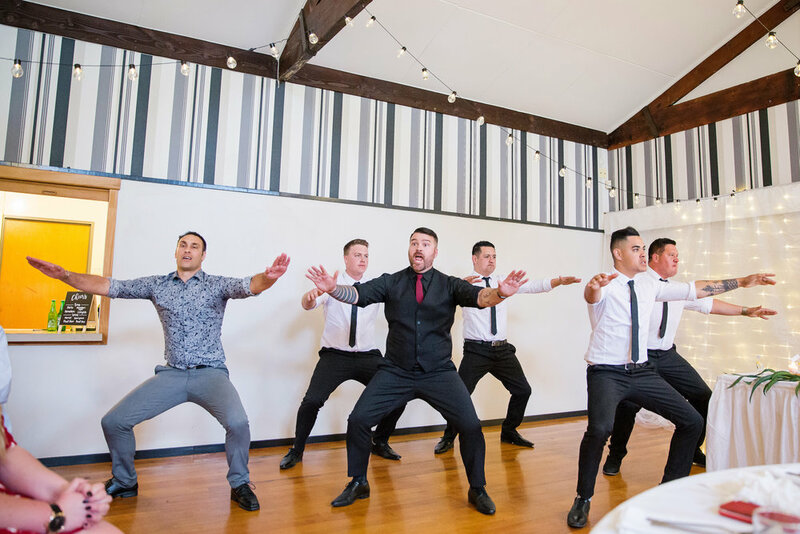 My husband and his groomsmen performed an amazing Haka which blew everyone away and it will be an experience I'll never forget."